Ah, packing. It’s a wonder, sometimes, how people decide what to pack on their motorcycle – the choices they make. They make a list, try to keep everything simple and not pack everything including the kitchen sink, and then when it’s time to leave the garage there is barely room left on the motorcycle for them to sit. I know we’ve all been there, sometimes more than once. 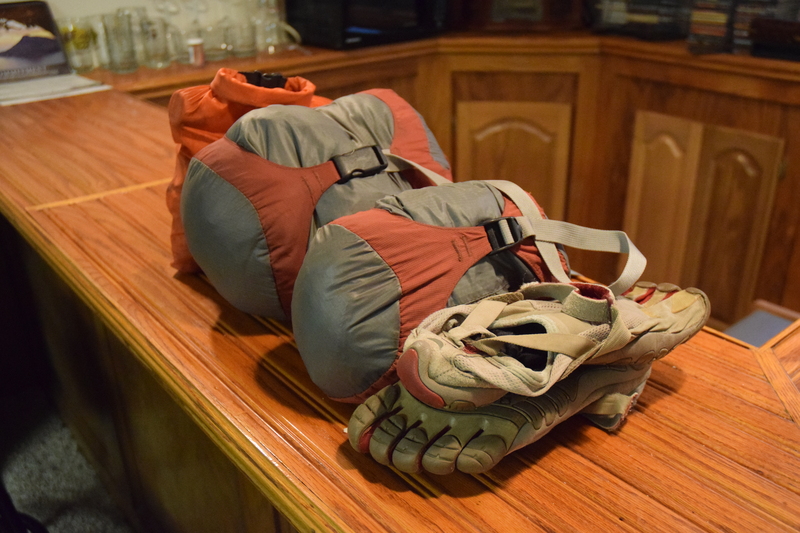 Deciding what to pack is an important part of getting ready for a trip, whether it’s a weekend or a five year jaunt around the planet. I have a simple system for deciding what to bring along – does it save me money while traveling, allowing me to travel longer? If that is a yes, then odds are it’s going onto the bike. If not, it gets left behind until something convinces me to change my mind. This might seem easy enough, and it really is. In fact, you are probably already using this simple principle every time you take off on a couple days road trip, where you are planning to stay at a friend’s house. Lets face it – you don’t have to pack anything. When you get there, just buy some clothes, toothbrush, whatever to keep around during the stay, and throw them away or gift them when you leave. But no one does that (okay, few people do that), because it quickly gets expensive. We pack a change of clothes, we bring our own toiletries. While we don’t think about it in that way, we are saving money by bringing that stuff along. I actually go a bit further and don’t buy or use travel sized things. Full sized (although not the huge family sized) shampoo and shaving cream might take up more room in the luggage, but they cost about the same as the travel sized – and are certainly less expensive if you consider the cost-per-volume. 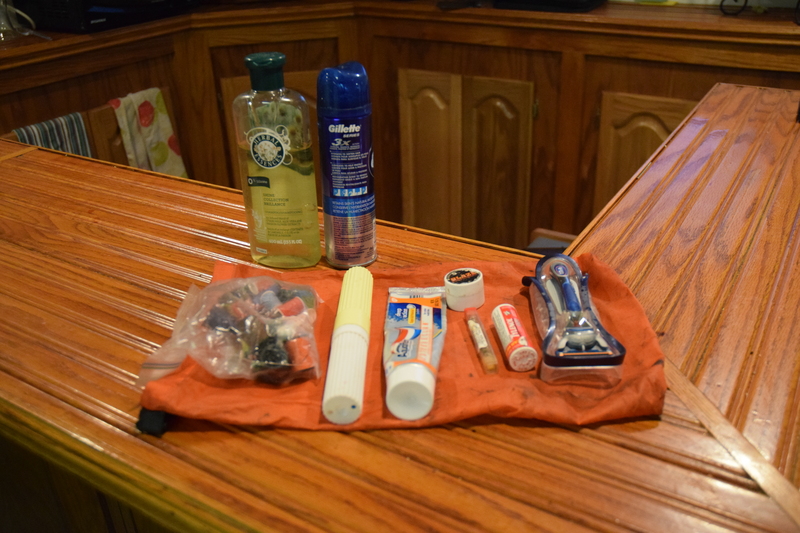 And, since I like to travel internationally, getting travel sizes in developing countries isn’t going to happen, so I might as well just pack a regular item from the start. I usually just grab the ones from the bathroom before I leave. The next question is how much stuff to bring. If you are on the road long enough, you are going to have to do laundry, so really you only need to pack enough to make having to do laundry not a chore. I try to pack no more than a single load of laundry (and a small one at that) to make doing laundry in a laundromat a simple task. I met someone on the road with seven pairs of jeans, since he was going to be on the road for seven days and wanted a clean pair to put on every night (after riding in motorcycle pants). Over the seven days, he probably wore each pair for 3-4 hours. You can imagine how much space they took up in his luggage. He wasn’t camping, anyway. As I mention on the Packing List page, I only carry a few changes of undergarments, and only one change of pants. If it’s not extremely hot, I usually go a week or so between laundry visits, which also lines up with how often I stay in a hotel instead of camping – so I can do laundry at the same time. If my clothes get too dirty in the mean time I can rinse them out and hang them to dry in camp. It’s Okay To Do Laundry While On The Road.